Customize your online shopping, using different cards with certain value. 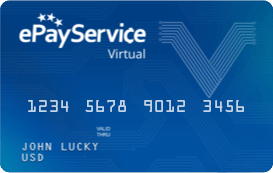 Choose Virtual Card that suits you best! Single use non-reloadable ePayService Mastercard® Virtual Single can be a right payment instrument when it comes to one-time payments. 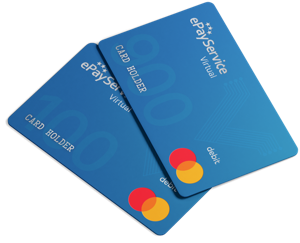 Reloadable card ePayService Mastercard® Virtual Multi will help you out where you need to regularly pay for subscriptions or services.